The first trailer for Spider-Man: Homecoming will hit later tonight, when it makes its debut on Jimmy Kimmel Live. 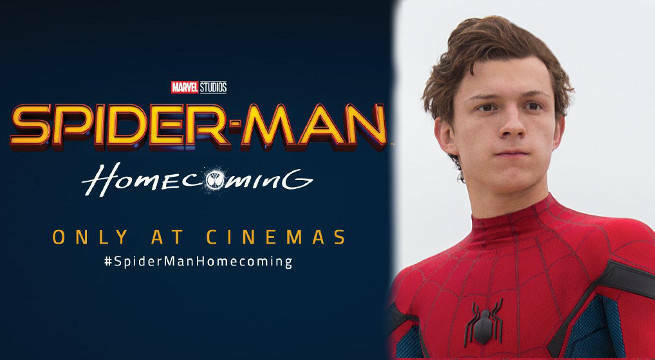 But to tide fans over, Sony Pictures (in conjunction with Marvel Studios) has released a new still shot of Tom Holland as both Peter Parker and Spider-Man, as he's in full costume, sans mask, held in his hand. 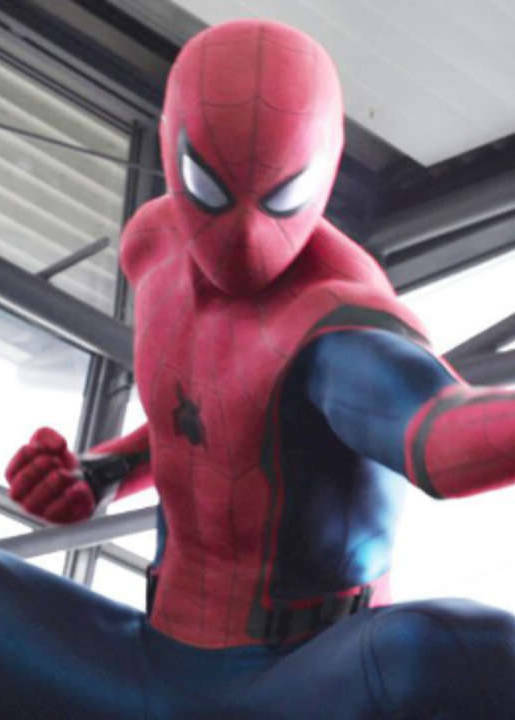 The image debuted on USA Today Thursday morning, meant as a promise that the movie will focus heavily on the daily life of teenaged high school hero Peter Parker, and not just on his costumed counterpart. "[It's] more a character piece about this kid who's struggling to talk to girls and also struggling to save the city," Holland said of the film. "This is really a movie where Spider-Man's not the finished article. He really does learn and he makes massive mistakes. It's nice to see a kid do that and then try to rectify those mistakes." While there will be some flashback to Spidey first getting his new suit from Tony Stark, the vast majority of the film will be about him dealing with getting back to normal life after the events of Captain America: Civil War. In that film, Holland's debut as the character and the character's debut in the shared Marvel Cinematic Universe, Spidey went from stopping street thugs in sweatpants to swinging alongside Iron Man, fighting Captain America, and taking down a 4-stories tall Ant-Man. It makes regular life a little harder to bear. "He literally just went to Europe with the coolest clique of them all. now he's back with the academic decathlon and the mathletes and going, 'what am I doing here?'" said Eric Hauserman Carroll, co-producer of Homecoming. His new suit also has more to discover, as seen in the teaser footage for the trailer where Spidey jumps off a building, spreading webbing under his arms to glide. "You begin to see just how much Tony Stark loves bells and whistles," Marvel Studios president Kevin Feige, a producer on the film, said of the costume. Michael Keaton's Adrain "The Vulture" Toomes was also teased, as Holland said "the first time we see the Vulture is terrifying. it's like a horror movie: really scary, very intense, and shocking." In the brief footage we saw at San Diego Comic-Con in July, The Vulture's costume was a mix of the classic wing suit seen in the comics and some Iron Man-style tech – a perfect combination to bring Spider-Man further into the MCU. Spider-Man: Homecoming, directed by Jon Watts, hits theaters July 7, 2017.